As a resident of Indiana, I was born in Vincennes, Indiana I am happy to comment Vincennes is not, nor ever was, a seedy little town and I take issue with your remark that it is. My family relocated to the Northern part of Indiana when I was a teenager. 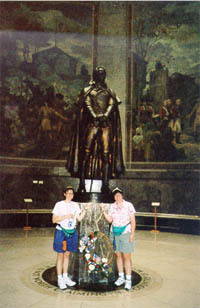 But I have fond memories of visiting the George Rogers Clark Memorial with a 5th grade school trip to the Memorial. 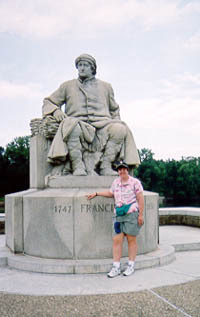 I even took my husband to Vincennes to see the Memorial on my honeymoon. Vincennes also is the home of the oldest University in the State of Indiana. 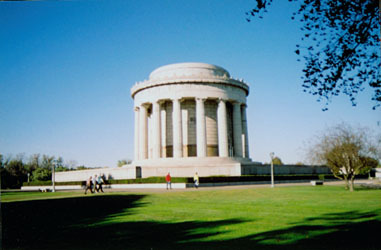 Perhaps you would be wise to visit it on one of your excursions to Indiana, to learn more history about it.